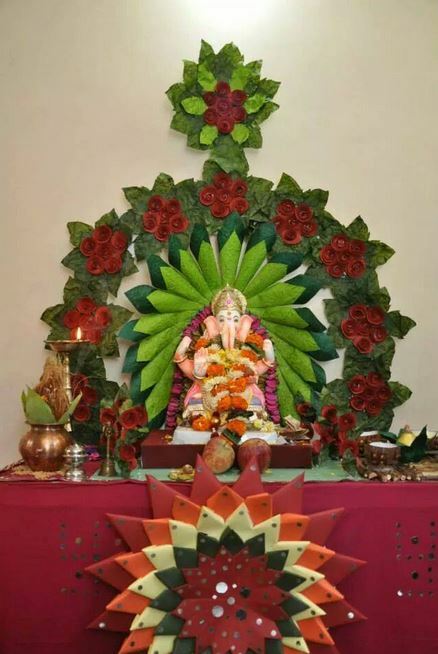 Get fresh, new theme based Ganpati decoration ideas at home. 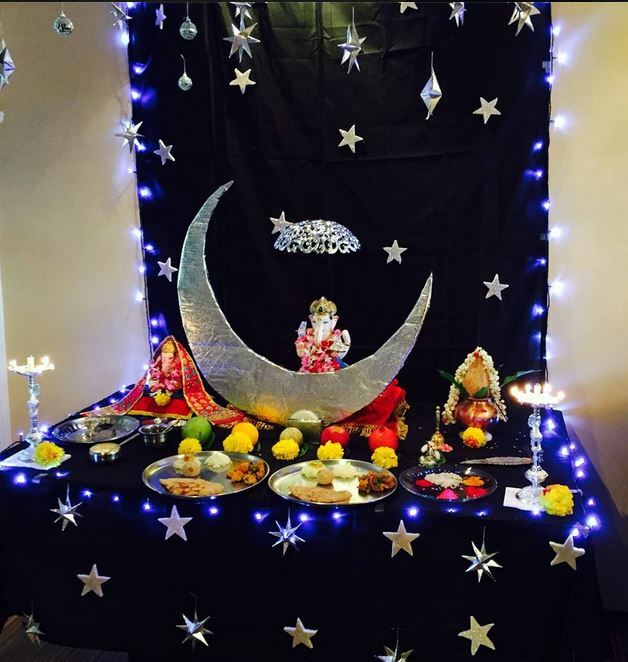 These theme decoration ideas are simple and can be done easily at home. 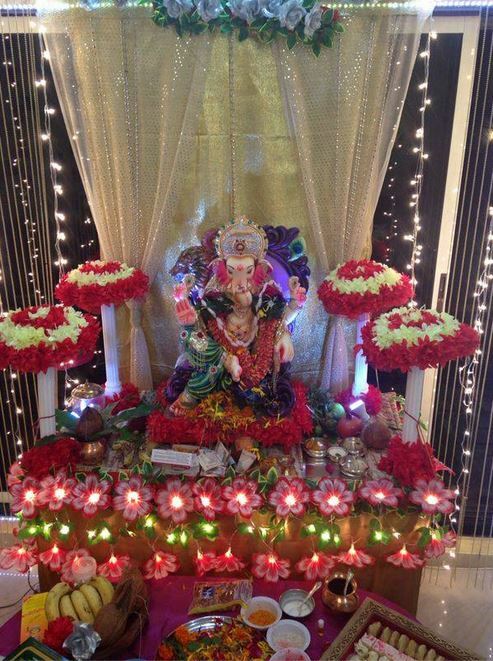 Decorate your home and pooja room with our amazing Ganpati decoration ideas at home. 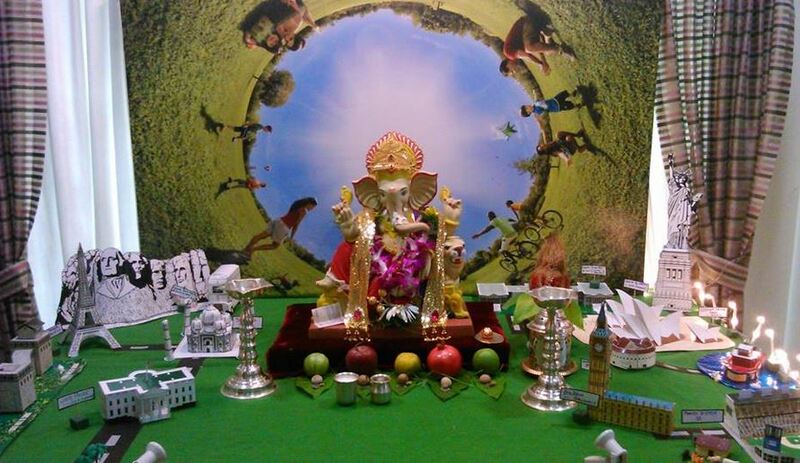 Make eco-friendly Ganesh idol using clay and place it on homemade chowki. 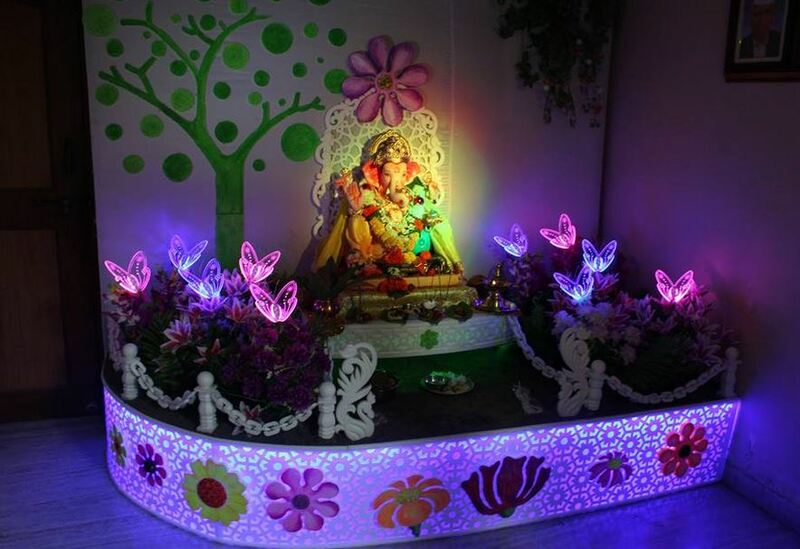 Try to use non-toxic, bio-degradable materials for Ganpati decoration. These pretty butterflies are made out of acrylic sheets. Place them on flowers and light them up to get this effect. 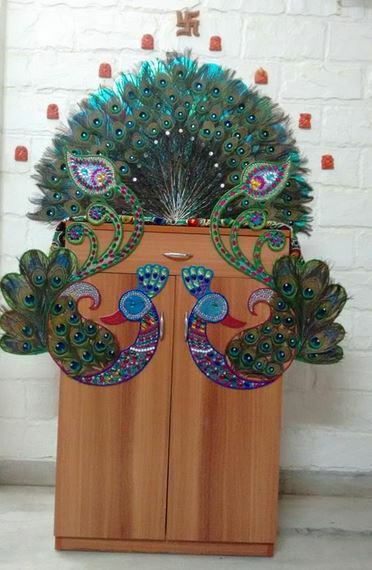 Use a cabinet or a table to create this peacock theme look. 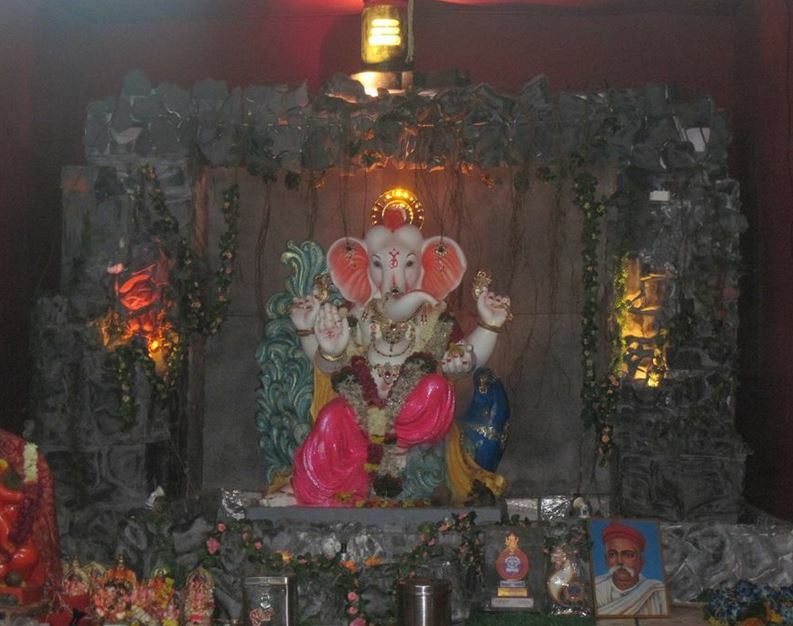 Place thermocol peacock cutouts in the front and peacock feather behind Ganpati idol. 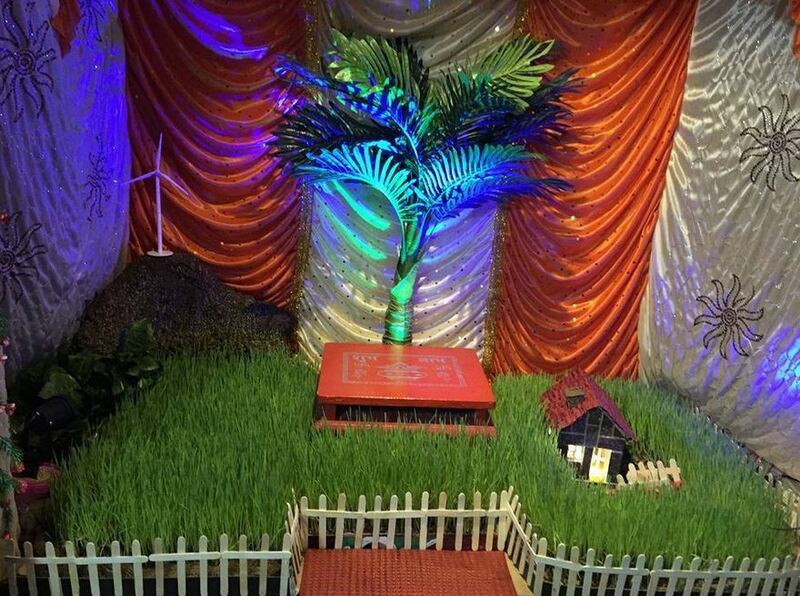 Place a wooden plank and plant plant grass on it to create a village look. Add a hut, windmill and fence in there. Decorate the background with colorful fabric. Fill buckets with sand and with pipes or sticks in it. Place a table in the centre. Now dip a cotton cloth in the mixture of water, pop powder and ddl powder. Spread it all over. concealing the bucket and the sticks. 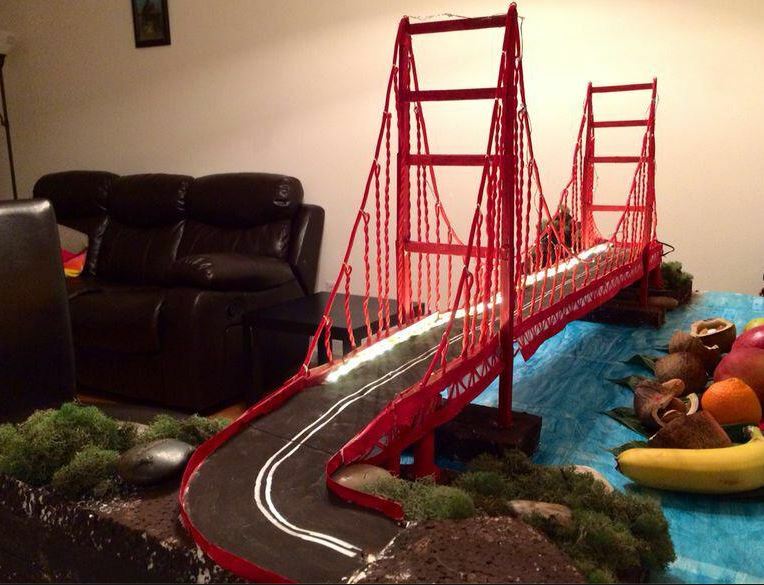 Let it dry, add lighting and your decor is done. Spread a navy blue fabric over the table and take to the top to create that ideal background for the night sky. Add lighting, stars and moon to it. 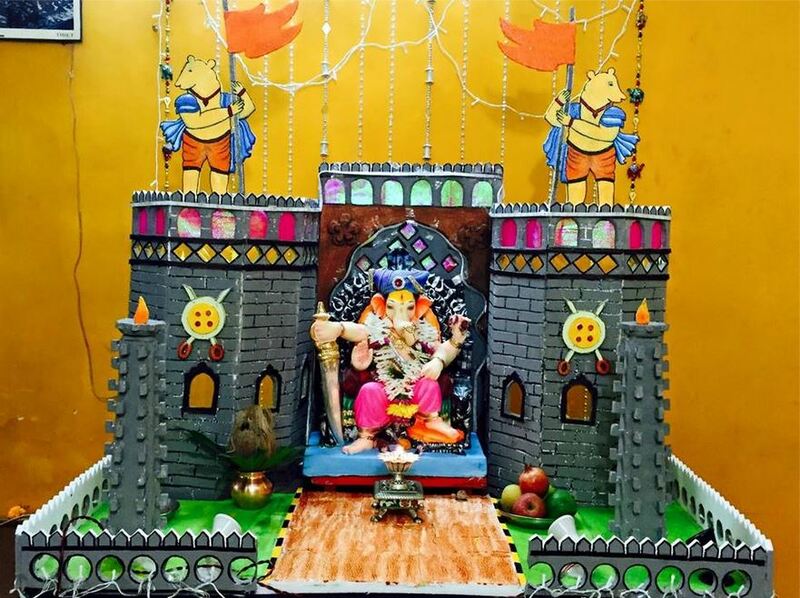 Prepare a castle for lord Ganpati. 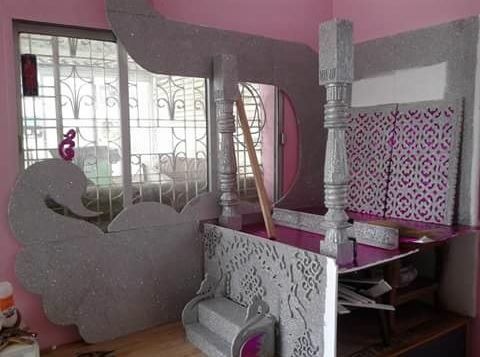 Use thermocol to build the castle, paint it and place guards on top. Decorate the floor using cotton and sprinkle glitter on top. Now place clouds, stars and moon made out of thermocol sheets. Also paint the background as the sky. 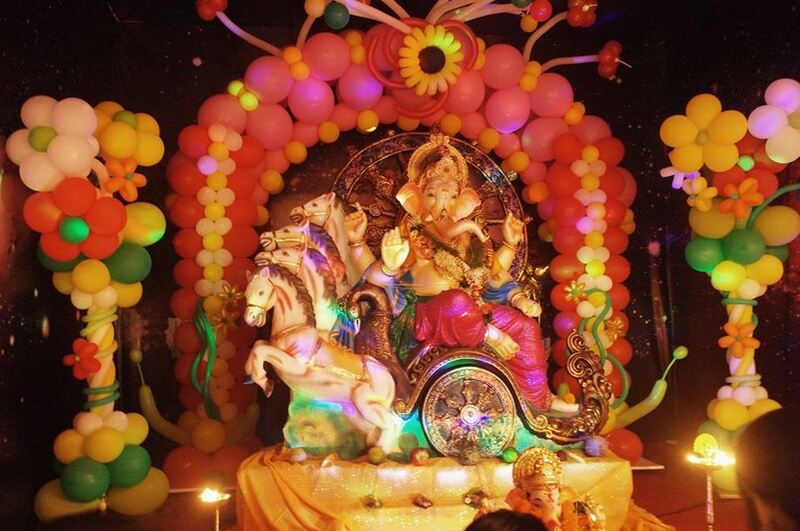 Showcase the latest developments in India during Ganpati festival. 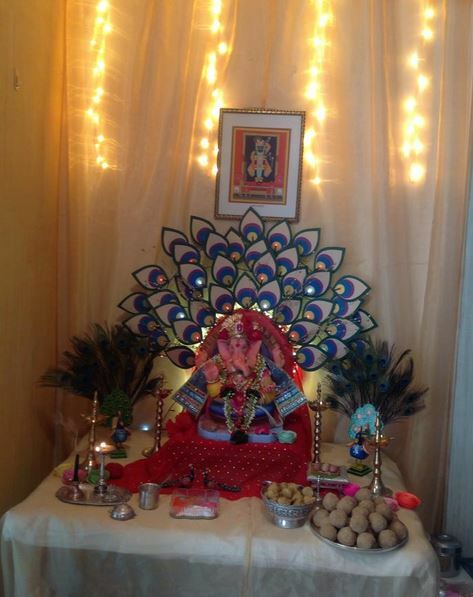 Build this Japanese style makhar this year for Ganesh Chaturthi. Create a Birthday party look with this balloon decor. Make an arch, trees and flowers using balloons. 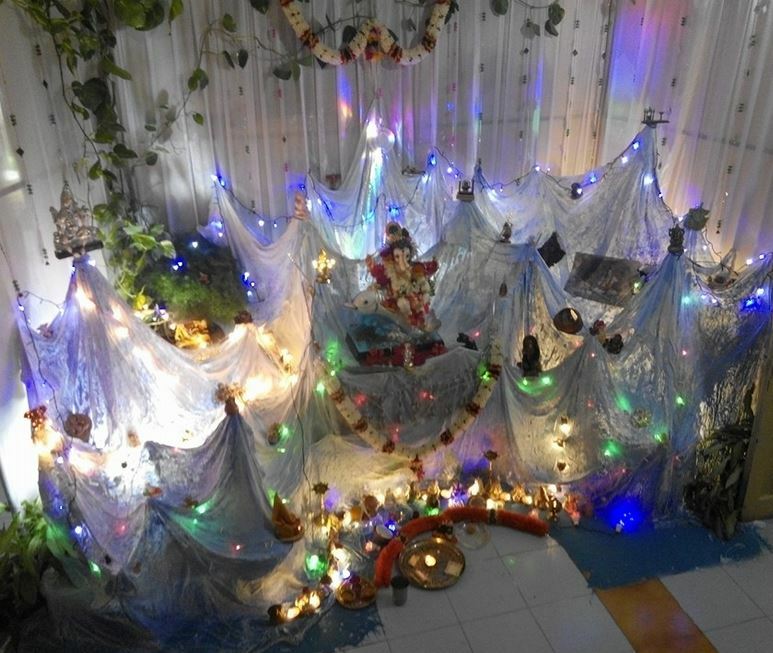 Go for Ganpati on moon theme. Place cotton to create clouds and add lights for effect. Hang blue fabric in the background to make it look like the sky. 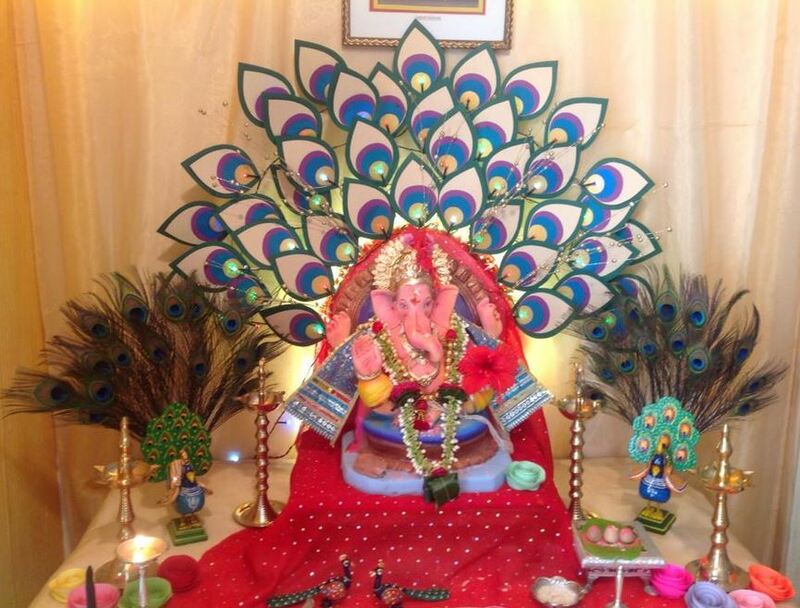 Here are some pretty Ganpati decoration ideas at home with peacock theme. You can do this simple decor. 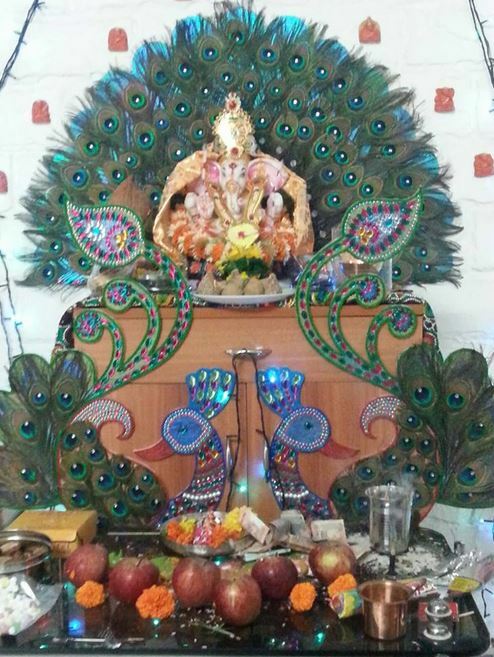 Use paper to make peacock feather design and place it behind Ganesh idol. 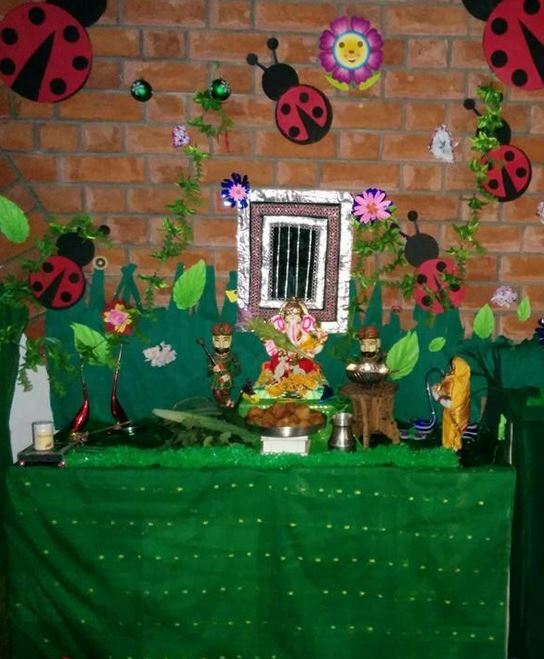 Create a nice garden with lady bugs around. Use green plants and leaves for decoration. Add a little window to peep through. 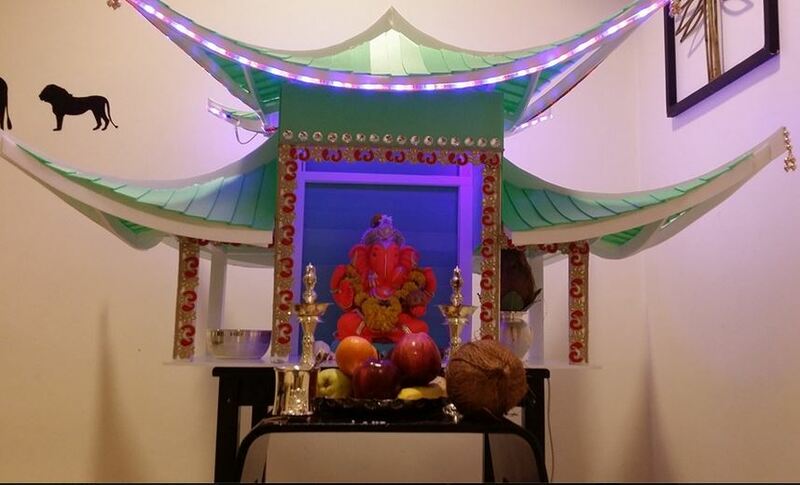 Use the theme “Ganpati in San Francisco”. 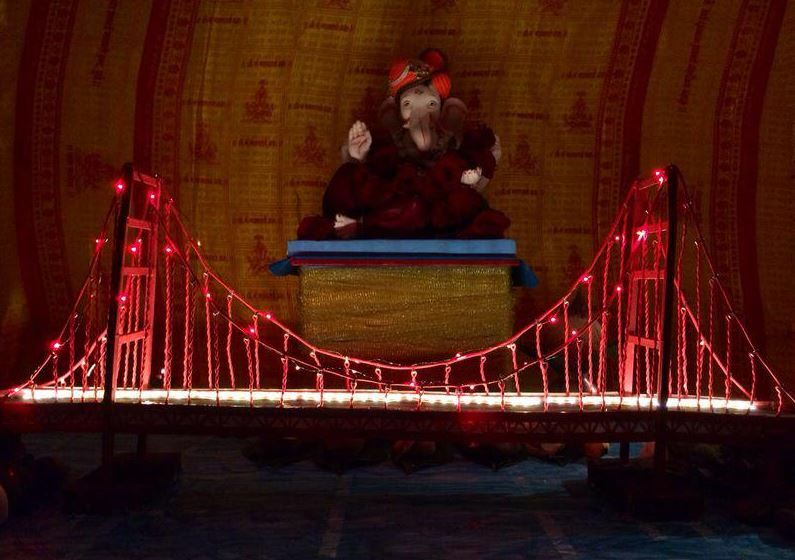 Make a model of Golden Gate Bridge and place it in front of Ganpati idol. Use paper and cardboard to do this awesome eco-friendly decoration. Prepare the arch with leaves and rose flower. 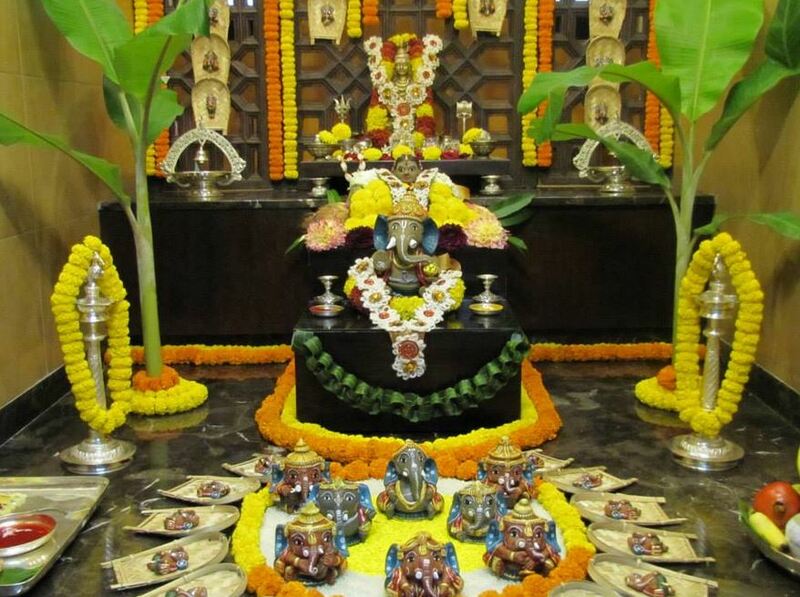 How about this Lotus platform for your Ganpati Bappa? This decor theme is very elegant and easy to execute. 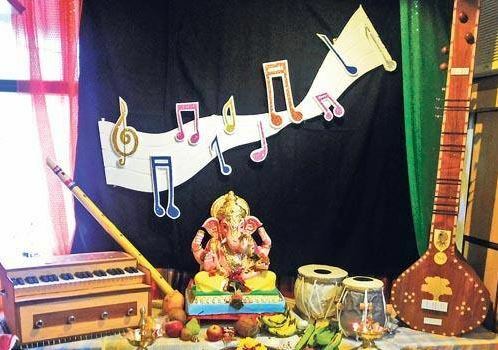 Place all musical instruments along your Ganesh idol. Decorate the background with musical notes. 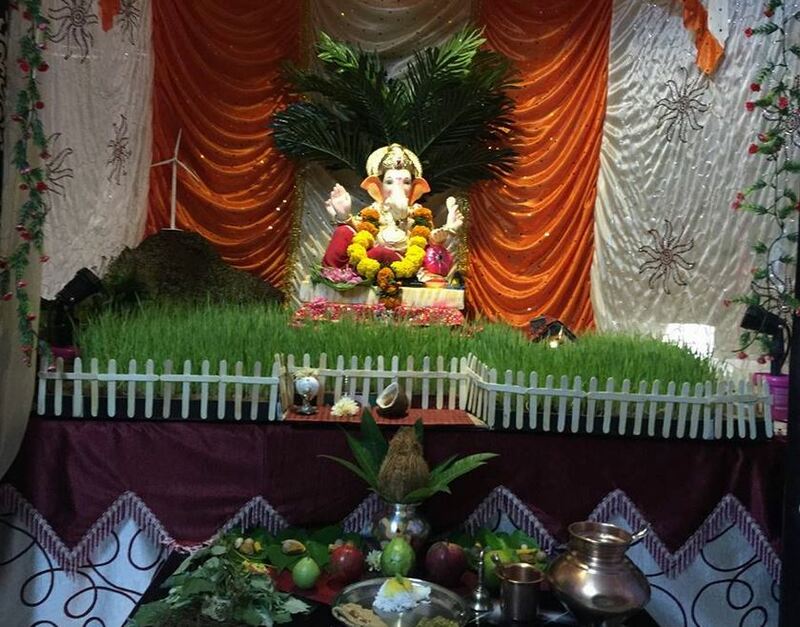 Go natural, decorate Ganpati makhar with fruits and vegetables. Use grapes, peas, lady finger, brinjal and beans for decoration. 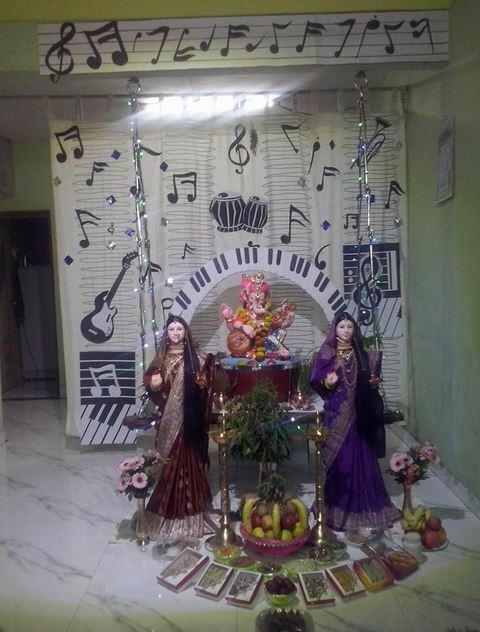 This year try our “pop star Ganapati” decor theme. 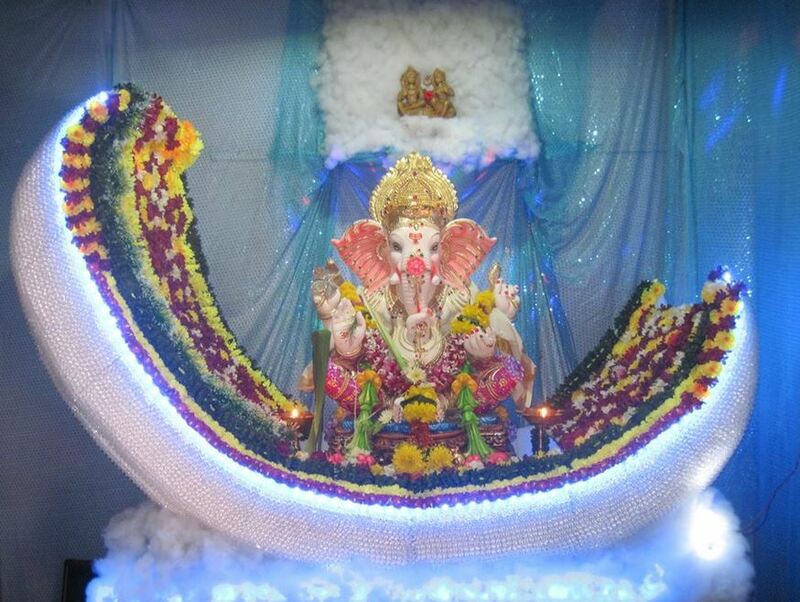 Place Ganpati on a drum with keyboard arch around him. Add a background with musical notes and instruments. 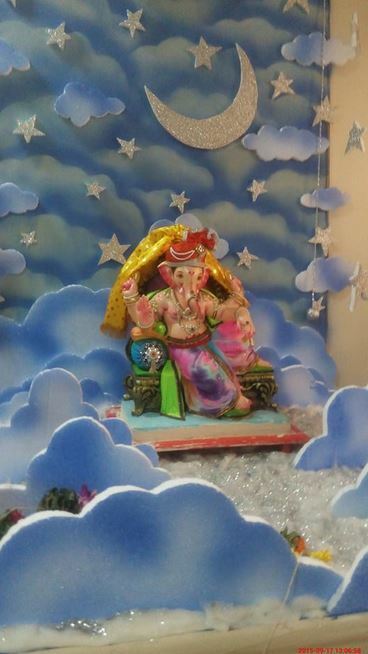 Place Gauri on moon and Ganesh amongst the clouds. Create a glimpse of our universe with planets and stars. 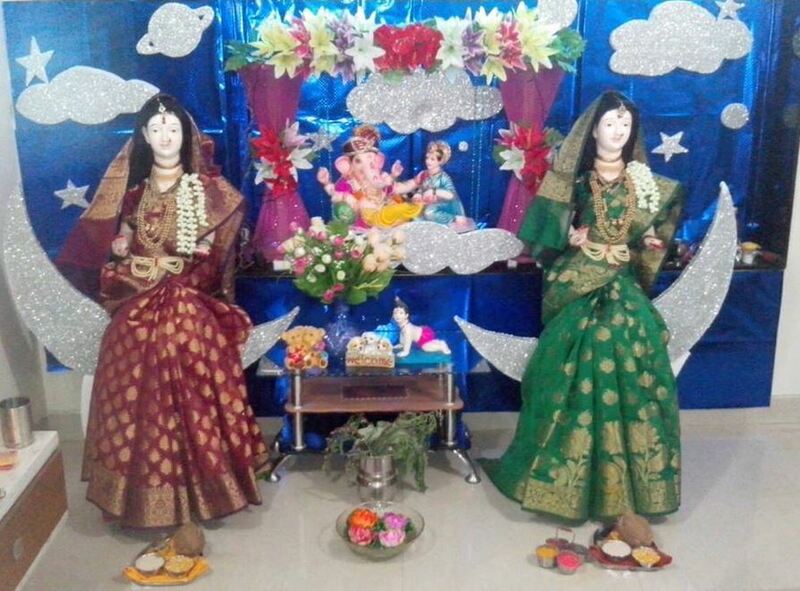 Choose our easy Ganpati decoration ideas at home. 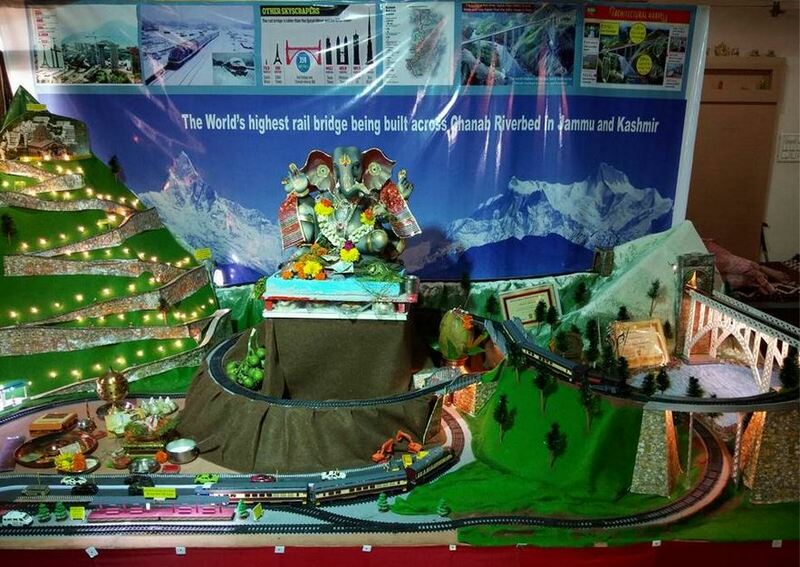 Show lord Ganesh meditating on Kailash parvat. Place a Shiv Ling on top of it. 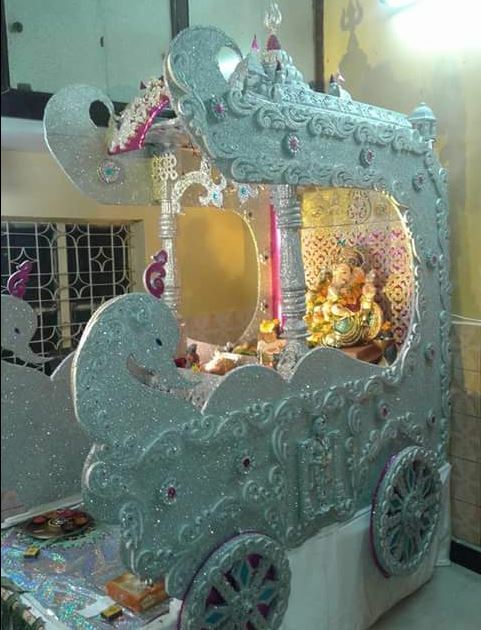 Make a thermocol chariot with intricate designs on it. Use soldering rod to cut thermocol. Get readymade pillars from the market though. 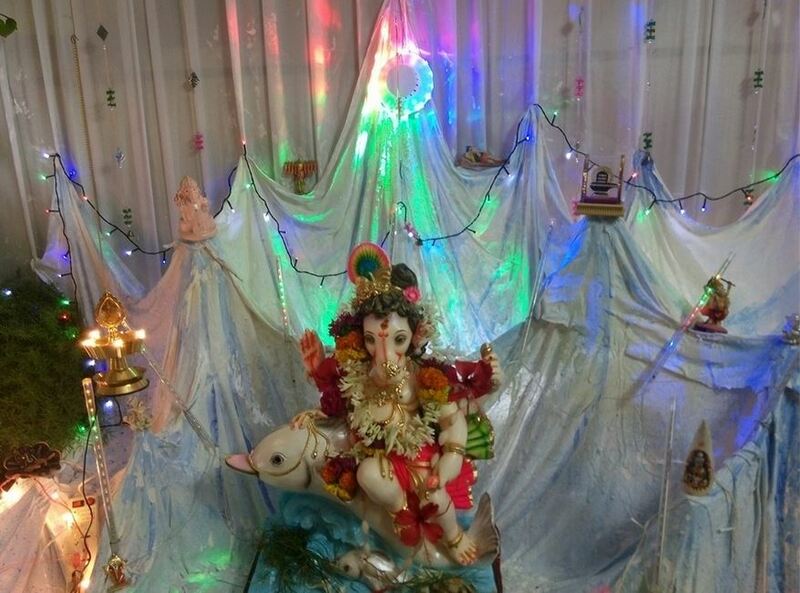 Ganpati Around the world theme can be created in this similar fashion. 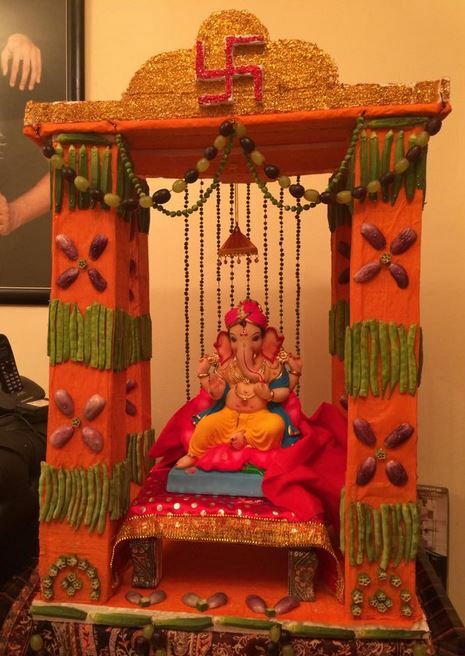 Place model of famous monuments and structures from around the world along with Ganesh idol. 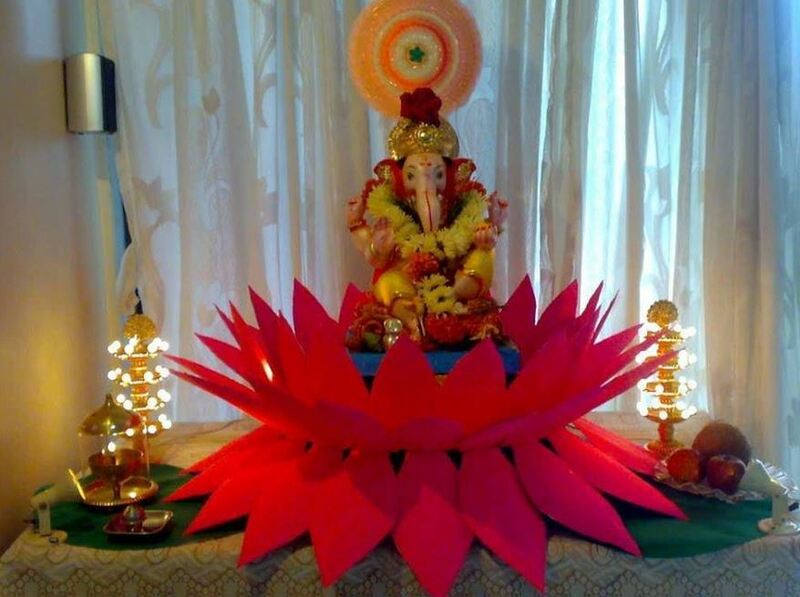 Do a flower decoration for Ganpati Vinayaka. 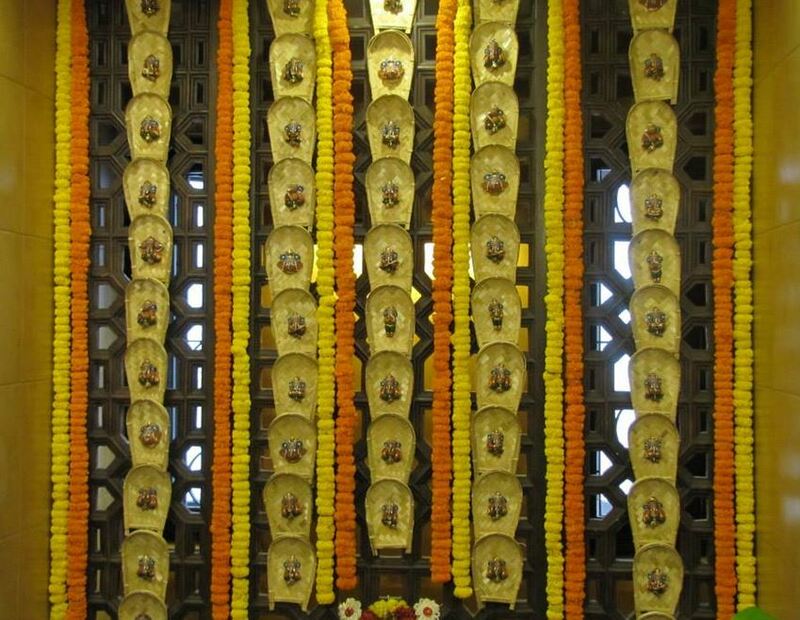 Use real flowers to decorate the pooja space. 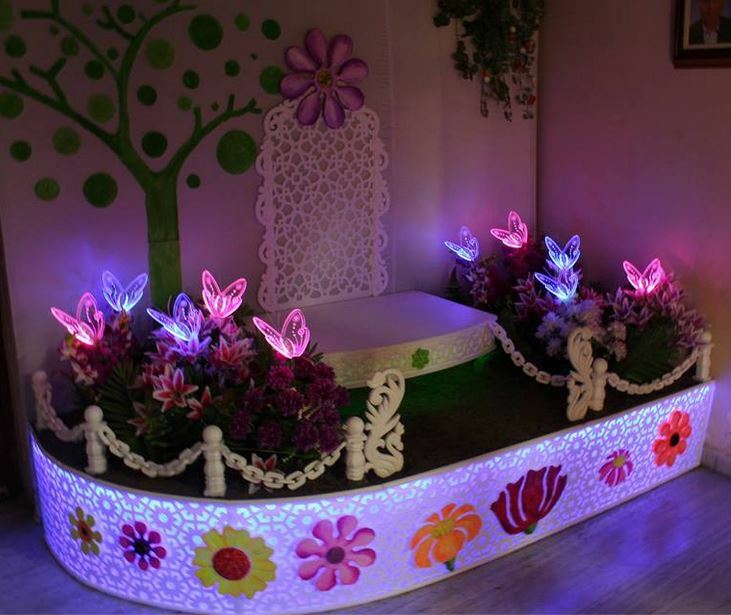 Beautify the platform with flower lights. 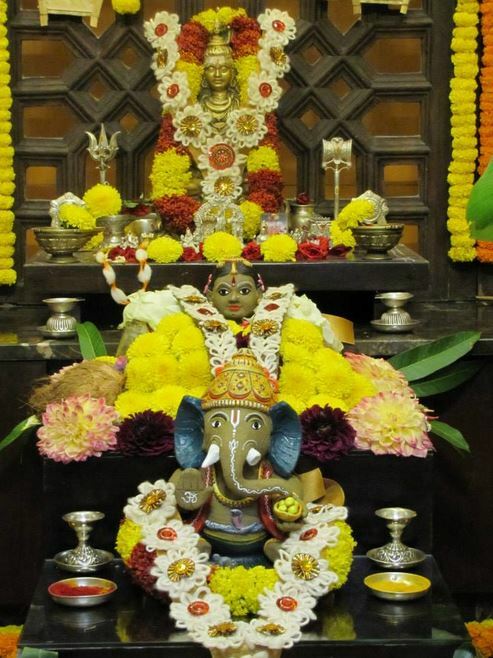 Decorate your pooja room with Marigold flowers and tiny Ganpati idols. 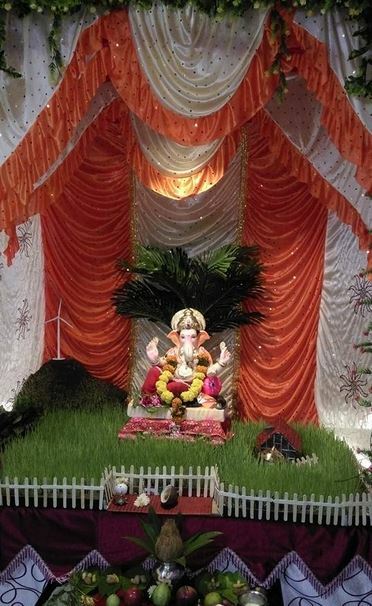 This entry was posted in Pooja Room, Pooja Room Designs and tagged Decoration at Home for Ganpati, Decoration Ideas at Home for Diwali, Decoration Ideas at Home for Ganesh Chaturthi, Decoration Ideas at Home for Ganesh Pooja, Decoration Ideas at Home for Ganpati, Decoration Ideas at Home for Vinayaka Chaturthi, Decoration Ideas for Ganpati Utsav, Decoration Ideas Ganpati, Eco Friendly Ganesh Decoration at Home, Eco-Friendly Decoration, Ganesh Decoration Themes, Ganesh Pooja Decoration, Ganpati Decoration at Home, Ganpati Decoration at Home Photos, Ganpati Decoration Ideas, Ganpati Decoration Ideas at Home, Ganpati Decoration Ideas at Home Images, Ganpati Decoration Ideas at Home with Flowers, Ganpati Decoration Ideas for Home, Home Decoration Ideas for Ganesh Festival, Home Decoration Ideas for Ganpati, Home Decoration Ideas for Vinayaka Chaturthi, Pooja Room Decoration for Diwali, Pooja Room Decoration for Ganesh Chaturthi, Pooja Room Decoration for Ganpati, Pooja Room Decoration Ideas, Theme Decor Ideas for Ganpati, Theme Decoration Ideas for Ganesh Pooja, Theme Decoration Ideas for Ganpati, Theme Decoration Ideas for Vinayaka Chaturthi, Theme Pooja Decoration Ideas for Home, Thermocol Ganpati Decoration at Home by Homemakeover. Bookmark the permalink. 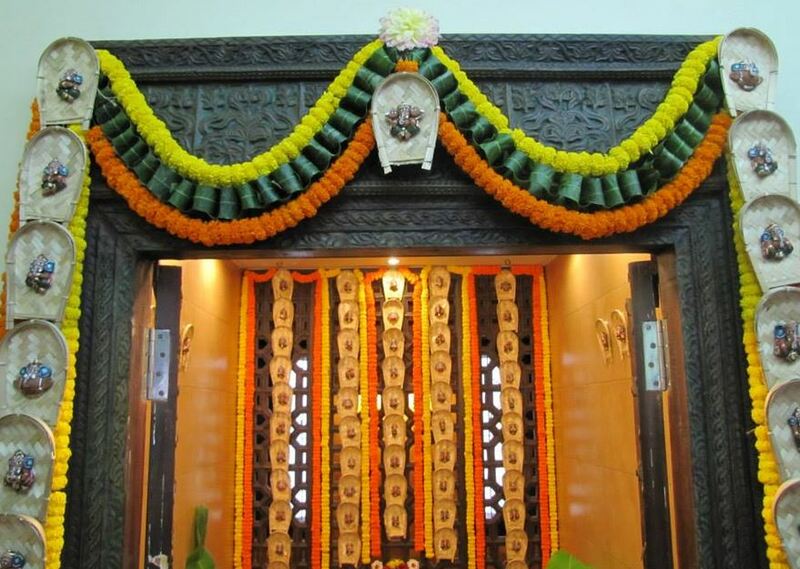 can you do the same decoration if yes then send me your details with contact number.